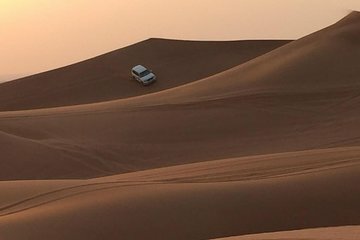 Escape the bustle of the city and venture deep into untouched desert landscapes on this action-packed evening adventure tour. Hop a camel for a sunset ride over sand dunes, explore rugged terrain in your own quad bike, and dig into a BBQ dinner in an open-fire Bedouin camp, complete with live entertainment. Tours include door-to-door transfers from Dubai.